Hotels in Paris Latin Quarter is where you want to stay if you want to be in the heart of one of Paris's liveliest areas, also home to the famed Sorbonne University of Paris. In fact, the area is called the "Latin Quarter" since Latin was the main language spoken during the 13th century when the quarter was established. 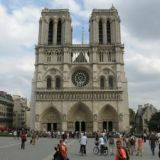 Additional institutions for higher learning located nearby include the Ecole Normale Superieure, Jussieu University, Ecole des Mines de Paris, and the Schola Cantorum. 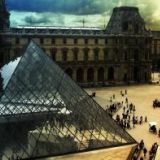 Located in the 5th arrondissement of Paris on the left bank of Seine River, the Latin Quarter also houses several great bookstores, souvenir shops, antique stores, and of course, great food. The Latin Quarter is especially well known for its bistros and their vivacious ambiance, where late into the night and wee hours the morning you can find a thriving student population. 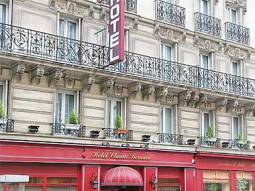 Hotels in Paris Latin Quarter are situated right next to all the action, so you can easily get around by foot and not miss a minute of all the sights and sounds. But if you are traveling to Paris on a budget, have no fears! The Latin Quarter also boasts many of the best youth hostels in the city. If you are a student, you'll feel right at home in the Latin Quarter, the shopping and social hub of Parisian students and young travelers. The area offers a vivacious nightlife, superbly priced yet high-quality food, multiple sidewalk cafes where you can stop for a latte or an espresso, as well as many historical attractions. In fact, if you gaze out of the top-floor window from most hotels in Paris Latin Quarter, you should be able to see the Pantheon, an 18th-century church originally commissioned by Louis XV, which has since been turned into a mausoleum for some prominent French figures. You may recognize the following personalities laid to rest in the crypt: Victor Hugo, Emile Zola, Marie Curie, Jean Moulin, and Voltaire.